I met Tejada a few months later. 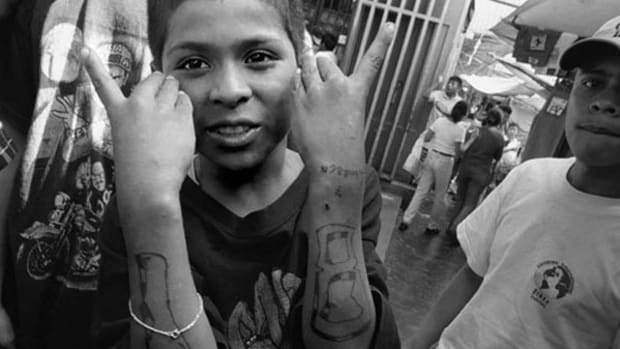 I had been writing about gangs in Los Angeles since 2004, when, after 10 years as a writer in Mexico, I’d returned home to take a job with the Los Angeles Times. My reporting took me into scores of working-class neighborhoods and cities within Southern California, places like Pacoima, Watts, Azusa, Hawaiian Gardens, Florence-Firestone, and Harbor Gateway. Gangs ravaged all these locales. Walls were covered with graffiti. Shootings were constant. 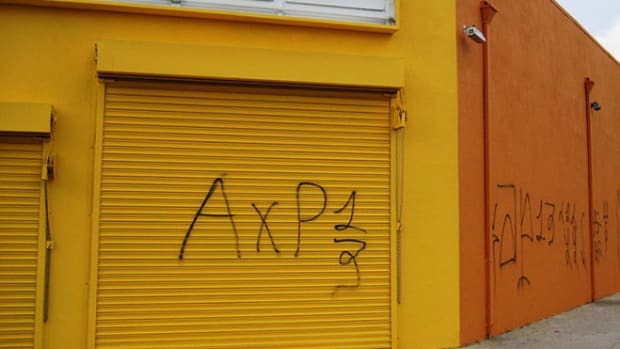 In many of these neighborhoods, Latino gangs had taken to attacking and killing random black civilians, turning themselves into the leading regional perpetrators of race-hate crime. Yet no place was as scary as the densely built two-block stretch around the corner from Simon Tejada’s house in Northeast L.A. Along those blocks, just south of the Forest Lawn cemetery, ran Drew Street, a stronghold of the Avenues, a Latino gang. I sat with Tejada in his home, shrouded behind a high wall and thick hedges, as kids in hoodies stood among densely parked cars outside and nodded at potential customers driving by. They carried on an unceasing trade in crack cocaine, with the apartments as their base. Graffiti was everywhere. When the police drove down Drew Street, it was two cars at a time, to the sound of gang whistles and Nextel chirps. Six years later, on a sunny afternoon, I went back and found that Simon Tejada never sold his house. I met him this time outside the home, and we walked the street freely. Gone were the thugs in hoodies. Gone was the graffiti. As we strolled, Tejada waved to neighbors, some of whom had just bought houses. “Now I don’t want to leave,” he told me. The transformation of Drew Street is not unique. In the past few years, street gangs have been retreating from public view all over Southern California. Several years ago, I spent a couple of days in the Florence-Firestone neighborhood, in an unincorporated part of Los Angeles County, interviewing some Florencia 13 gang members. One nearby garage was never free of graffiti for more than a few minutes a week. (This was the amount of time it took after the graffiti clean-up truck left for the 76th Street clique of Florencia 13 to re-deface the thing.) That garage wall has now been without graffiti for more than four years. I go by it every time I’m in the neighborhood. Fifteen miles southeast of Florence-Firestone, much of the tiny city of Hawaiian Gardens used to be scarred with the graffiti of HG-13, a local gang that absorbed several generations of the town’s young men. The last three times I’ve been to Hawaiian Gardens, I’ve seen nothing on the walls, and young black men freely visit taco restaurants on the main drag, something that would have been inconceivable a few years ago. In Oxnard’s Colonia Chiques neighborhood in Ventura County, the decades-old neighborhood gang is not outside, and their graffiti is gone. "Being the member of a gang doesn&apos;t have the panache it did," says George Tita, a criminology. "Things have changed radically in the last five years." Some of this is a state and national story, as violent crime declined by about 16 percent in both California and the nation from 2008 through 2012. But the decline has been steeper in many gang-plagued cities: 26 percent in Oxnard, 28 percent in Riverside, 30 percent in Compton, 30 percent in Pasadena, 30 percent in Montebello, 50 percent in Bell Gardens, 50 percent in El Monte. No place feels so changed as the city of Los Angeles. In 2014, the Los Angeles Police Department announced that gang crime had dropped by nearly half since 2008. In 2012, L.A. had fewer total homicides (299) citywide than it had gang homicides alone in 2002 (350) and in 1992 (430). For the most part, Latino gang members no longer attack blacks in ways reminiscent of the Jim Crow South. Nor are gangs carjacking, assaulting, robbing, or in a dozen other ways blighting their own neighborhoods. Between 2003 and 2013, gang-related robberies in the city fell from 3,274 to 1,021; gang assaults from 3,063 to 1,611; and carjackings, a classic L.A. gang crime born during the heyday of crack, from 211 to 33. This has amounted to an enormous tax cut for once-beleaguered working class neighborhoods. Stores are untagged, walls unscarred. 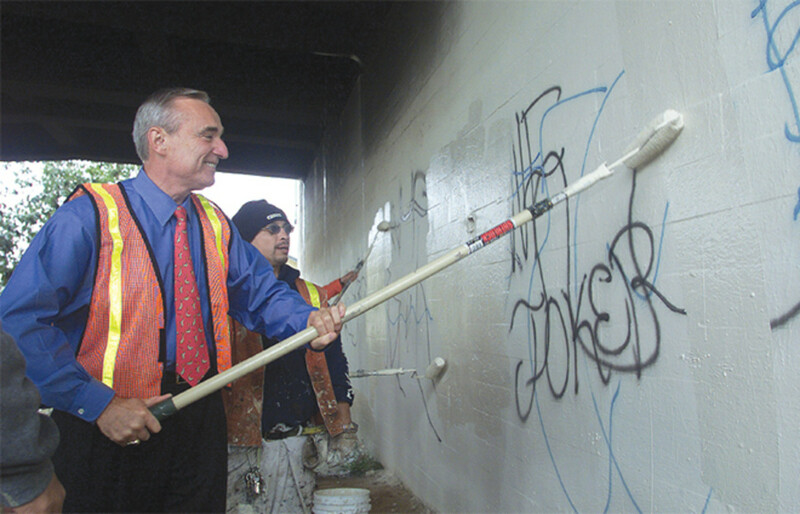 Graffiti, which sparked gang wars for years, is almost immediately covered up. Once-notorious parks—El Salvador Park in Santa Ana, Smith Park in San Gabriel, Bordwell Park in Riverside are a few examples—are now safe places for families. Literature about street gangs in the United States dates back at least to the 19th century, when diverse groups of immigrants began settling en masse in the tenements of New York. The reformer and muckraker Jacob Riis, who spent decades among the city’s poor, saw the gang as a temporary product of dislocation, something that “appears in the second generation, the first born upon the soil—a fighting gang if the Irishman is there with his ready fist, a thievish gang if it is the East Side Jew—and disappears in the third,” as he wrote in the Atlantic Monthly in 1899. In Southern California, street gangs had a later start, and many histories trace them to the 1920s, when groups of Mexican American teenagers began to band together in shared ethnic alienation. California’s early Chicano gangs usually restricted their violence to the use of fists, chains, and knives. Guns were rare, and shootings were seen as unmanly. Black gangs, which began to form following a great migration of African Americans to Los Angeles after the Second World War, were also subdued in comparison to their later incarnations. 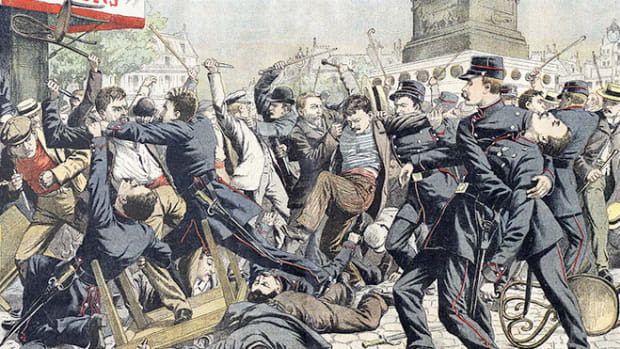 Several forces conspired to make gangs more volatile. The Watts riots of 1965 sparked massive middle-class flight from the cities of southern Los Angeles County and left a poorer, often jobless, underclass. A surge of immigration, both legal and illegal, caused arrivals to ally with one another in new ways. And illegal drugs became an immense market. Crack, emerging in the 1980s, offered enormous profits, which in turn led to increasingly violent turf protection. A gang culture specific to Southern California took root. Gangs took over public spots—parks, markets, apartment buildings, and especially streets. A Southern California gang’s reputation depended on how well it controlled its territory, and it showed residents, especially youngsters coming up, who was really in charge. In Chicago, gangs had names that seemed right out of West Side Story—the Latin Kings, the Vice Lords. In Southern California, gangs named themselves after streets. 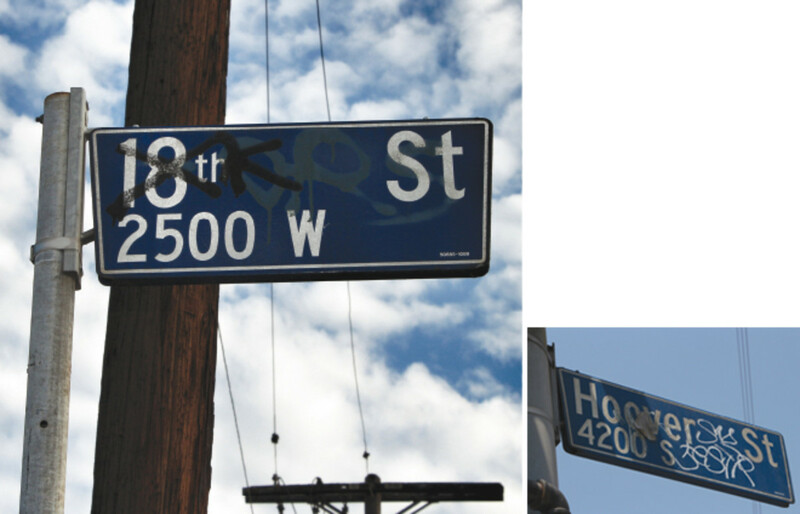 Anonymous thoroughfares grew infamous: Grape Street, 18th Street, Hoover Street, 38th Street, Piru Street. Even Main Street had an eponymous gang. Gangs formed within numerous ethnic groups (Armenians, Vietnamese, Cambodians, Laotians, and many others), but most were made up of African Americans or Latinos. Members of the Crips and the Bloods, two black Los Angeles gangs that took off in the early 1970s, split into ever more violent feuding subdivisions through the 1980s. Different Crip cliques emerged every 10 blocks or so east of the 110 freeway, from Downtown south to Watts, a confederation that came to be known as the East Coast Crips—and feuded ferociously with Crips west of the freeway. Gangs also formed in scores of isolated Mexican American barrios, from Pacoima to Pomona, and grew larger as Latinos emerged as the region’s dominant population. Compounding all this was an explosion of apartment construction in the late 1980s. More than 187,000 units in Los Angeles County went up between 1984 and 1989, mostly on lots where single-family homes once stood. The dense complexes replaced working-class homeowners with low-income apartment renters. The new structures offered gangs more places to hide and recruit. Sweepers couldn’t get through the streets, now lined with cars. Departing tenants left sofas and old chairs on the sidewalks, a daily reminder of blight and decay. One cop who stepped into this mayhem was an Irish American newcomer to the Los Angeles Police Department named William Murphy. He arrived in 1988 with four years of policing in Massachusetts behind him. “I wasn’t sure if I would stay,” he recalls. But the job grew on him and he warmed to the city. Over the next quarter-century, as the region went from better to worse to better again, Murphy saw it all. The LAPD of the late 1980s was an organization both brutal and beleaguered. Its chief was Daryl Gates, a famously tough-talking cop’s cop, and the department reflected the man. Street operations and arrests were what cops did, and community outreach was regarded as soft-headed stuff. The department’s numbers hovered around 8,000 officers, a tiny force by major-city standards, amounting to more than 425 city residents per cop in 1990. (New York at the time had more than 30,000 sworn officers, or fewer than 250 city residents per cop.) As crime rates tacked higher amid the crack and gang epidemics, LAPD officers had little time to do more than go from call to call. Crime statistics kept getting worse. In 1992, Los Angeles County saw 2,040 homicides, 803 of which were gang related. In the city, robberies numbered 39,222, nearly matching the previous year’s record high. The percentage of murders committed in public places climbed, too, reaching 82 percent in 1992. The drive-by shooting, dormant since Chicago during Prohibition, was revived. Some 6,300 drive-by shootings took place in Los Angeles between 1989 and 1993. L.A.’s gang culture proved exportable, and movies like Colors, Boyz N the Hood, and American Me captured the imaginations of young men around the country. Bloods and Crips warred in Portland, Oregon. In Stockton, California, outside of one theater showing Colors, a newly made Blood killed a young black man wearing blue, the color of Crips. Crips showed up in Minnesota, and Sur 13 graffiti showed up in Atlanta, Louisville, and the state of Michoacan, Mexico. Much of the violence plaguing El Salvador and Honduras today is between MS-13 and 18th Street, gangs transplanted from L.A. Very little of what the LAPD did then was driven by hard numbers. No one could precisely evaluate what problems afflicted a neighborhood. Patrol officers simply chose which crimes to target. A shortage of data also meant a shortage of accountability, either from officers or their higher-ups. Murphy says he almost never saw a Captain III, the division commander, around the station house. Nor was Southern California law enforcement collegial. The LAPD did not ask for help—either from the community or from anyone else. The Sheriff&apos;s Department was seen as a rival; smaller departments disliked both the LAPD and the Sheriff&apos;s Department; and nobody liked the FBI. Over the next decades, Bill Murphy witnessed the cataclysms that rocked the LAPD. He survived crossfire during riots that convulsed the city in 1992 after a jury acquitted four LAPD officers in the beating of motorist Rodney King. He worked in the Rampart Division for a couple years before it was shaken by a corruption scandal that ended with a federal consent decree, placing it under the supervision of Washington. But the constant through his career was the rise and entrenchment of L.A. gangs in neighborhoods that could least afford them. In 2002, Bill Bratton, a veteran of law enforcement who had spent 1994 to 1996 as police commissioner of New York City, accepted a job offer from Los Angeles mayor Jim Hahn to take over as chief of the LAPD. If Bill Murphy and other LAPD veterans were hoping for a change, this was one. During a generally terrible decade for the LAPD, the NYPD, during and after Bratton’s tenure, had gone from success to success, cutting New York’s murder rate by more than half. Central to Bratton’s approach in New York was a system called CompStat, short for computer statistics. 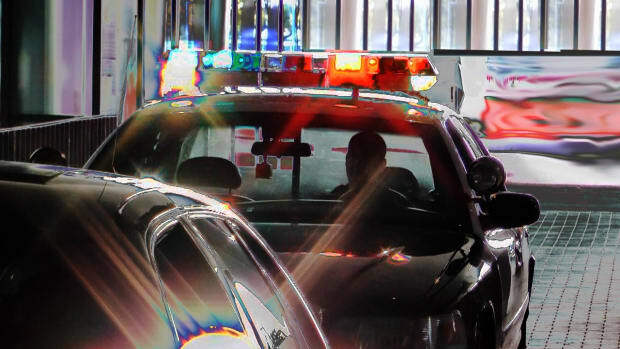 CompStat involved the real-time statistical monitoring of crime reports, giving cops, and their chain of command, data to which they could be held accountable. Bratton also believed in what has been called the broken windows theory, based on an argument (still much contested) put forward in 1982 by social scientists James Q. Wilson and George L. Kelling, that broken windows or other forms of decay beget further deterioration, and that preventing serious crimes requires a focus on combating blight and petty forms of lawlessness. When Bratton brought CompStat to the LAPD, it showed commanders where to deploy resources, and it meant the police, and especially division captains, could be evaluated according to reductions in crime in their territory. To fight chronic understaffing at the LAPD, Bratton lobbied for more hiring. Under mayors Richard Riordan and Jim Hahn, the LAPD had grown to 9,000 officers. Bratton and mayor Antonio Villaraigosa took it to 10,000. The LAPD also began to make use of a tool that had previously been used sparingly: the gang injunction, essentially a ban on gang members hanging out together in public. The gang injunction spent much of the 1990s in court before being narrowly ruled constitutional, but law enforcement valued it. Today, Los Angeles alone has at least 44 injunctions against 72 street gangs. Gang members seen on the street together can be jailed on misdemeanor charges. Other towns and counties followed LAPD’s lead. CompStat and broken windows were technocratic tools that Bratton could import from New York without too much modification, even if they were controversial. But his approach to public relations had to be different. Vast swaths of Angelenos hated and feared their own police department. For years, the term community policing had enjoyed popularity as a buzzword without translating into major changes on the streets of Los Angeles. But while the department had been taking cautious steps toward getting officers out of their cars and regularly patrolling beats on foot, things sped up under Bratton. Community policing changed the job description of every LAPD officer, but perhaps none more so than that of the division commander—Captain III. Under the new philosophy, an LAPD Captain III became a community organizer, half politician and half police manager, rousing neighbors and fixing the broken windows. Captains even began to lobby the city for services—street sweeping and tree trimming—that had nothing to do with law enforcement, transforming themselves into a miniature city government for neighbors who didn’t know who to call. They started to recognize that bringing crime rates down—their ticket to promotion—could happen only through alliances with the community. So Captain IIIs began to spend much of their time among pastors, librarians, merchants, and school principals. “We can’t arrest our way out of the problem” became their startling new mantra. The L.A. City Attorney’s office noticed the headway being made with community policing and placed prosecutors out in communities, where they heard residents talk about what really concerned them. Previously, prosecutors had simply taken cases and argued them before courts. Now, like Captain IIIs, they were partially taking on the role of community organizers, helping neighborhoods identify threats and finding ways to combat them. The result: A 2009 Los Angeles Times poll that showed more than two-thirds of black (68 percent) and three-quarters of Latino (76 percent) residents had a favorable view of the LAPD. In April 2006, the U.S. Drug Enforcement Agency’s public affairs office in Los Angeles issued a press release under the headline “Joint Investigation Knocks-Out Two Los Angeles Area Gangs.” Federal prosecutors had indicted dozens of members of the HLP gang in Highland Park and the East Side Wilmas in Wilmington, and the press release ended with a thick list of 25 law-enforcement agencies—federal, state, and local, from the FBI and LAPD to the Covina Police Department—whose help had been “invaluable.” The media covered the press release only perfunctorily, but hidden in its 996 words was another sea change in gang enforcement. The Racketeer Influenced and Corrupt Organizations statute was enacted by Congress in 1970 and best known for its use against Italian Mafia dons. But the RICO statute had also been used a couple of times in Los Angeles in the 1990s to go after the Mexican Mafia, a notorious California prison gang that had extended its influence to the streets, where it controlled the activities of Southern California Latino gang members. The last three times I&apos;ve been to Hawaiian Gardens, I&apos;ve seen no graffiti on the walls, and young black men freely visit taco restaurants on the main drag—something that would have been inconceivable a few years ago. In the 1990s, in meetings billed to the press as negotiations for a gang truce, members of the Mexican Mafia ordered Latino street gangs to stop drive-by shootings. They also ordered gangs to start taxing drug dealers in their neighborhoods and kicking the proceeds to Mexican Mafia members and their associates. That system created the first region-wide crime syndicate in Southern California history, turning scruffy neighborhood street gangs into tax collectors and enforcers. (As M is the 13th letter of the alphabet, many gangs took the number 13 as a symbol of their obedience to the Mexican Mafia.) It also made them vulnerable to federal conspiracy prosecution—the RICO statute in particular. The HLP prosecution had begun as a drug trafficking case, but the federal prosecutor, Chris Brunwin, was also finding evidence of insurance fraud, immigrant smuggling, extortion, and witness intimidation—the sort of criminal activity that RICO was written to combat. So Brunwin expanded the case and charged the gang under the statute, netting 43 convictions. The 2006 case against HLP was the first in Los Angeles to use RICO statutes on foot soldiers as well as gang leadership. Street gangs had previously been seen as small fry, but, by the mid-2000s, “the culture changed in terms of using this great tool,” says Jim Trusty, chief of the U.S. Justice Department’s Organized Crime and Gang section in Washington, D.C.
RICO cases also required interagency cooperation—federal budgets and wiretapping capabilities with local cops’ knowledge. Federal prosecutors and district attorneys began meeting, sharing information, and putting aside old turf rivalries. Today, federal agents and local police officers routinely work together on cases. On the day of arrests, officials—local cops, sheriffs, agents from the DEA, FBI, IRS, and others—will spend several minutes of a half-hour press conference recognizing one another’s cooperation. Since 2006, there have been more than two dozen RICO indictments in Southern California, targeting Florencia 13, Hawaiian Gardens (HG-13), Azusa 13, Five-Deuce Broadway Gangster Crips, Pueblo Bishop Bloods, and many more of the region’s most entrenched and violent gangs. Most of the indictments have dozens of defendants; the Florencia case had 102, while Hawaiian Gardens, in 2009, was one of the largest street-gang indictments in U.S. history, with 147. Some of these indictments once provided news fodder for days. Now they’re so common that they no longer earn the Los Angeles Times’ front page. A recent RICO indictment against 41 members of the El Monte Flores gang, detailing alleged extortion, drug taxation, and race-hate crimes dating back more than a decade, didn’t even warrant a press conference. RICO prosecutions arouse skepticism among some scholars. Lawrence Rosenthal, a law professor at Chapman University, notes that many RICO prosecutions have left a power vacuum and increased short-term violence. But this seems more true of cases in which only a few leaders have been taken down—as in the case of Italian Mafia prosecutions in New York or the El Rukn gang in Chicago in the 1980s—or in which the top leader is among those prosecuted, as happened in 2005 in Santa Ana with a RICO case that sent Orange County Mexican Mafia boss Peter “Sana” Ojeda to prison. Southern California RICO cases have sent large numbers of street-gang soldiers to prisons in places like Arkansas or Indiana, where no girlfriend is coming to visit. In California prisons, inmates usually serve only half their time before getting out on parole, but federal prison sentences are long and provide for no parole. To my eye, the effects of most RICO prosecutions against Southern California gangs have been dramatic, as if a series of anthills had been not just disturbed but dug up whole. Hawaiian Gardens has seen a 50 percent in drop in violent crime since the prosecutions of 2009. The neighborhoods that spawned Azusa 13 and Florencia 13 seem completely changed. I’ve seen similar post-RICO transformations across Southern California. The changes I&apos;ve described arose in part thanks to new thinking in law enforcement. But they dovetailed with other factors and coincidences that lay beyond police control. For example, the Mexican Mafia, with its taxation schemes and, later, long lists of “greenlights”—death warrants—has alienated thousands of gang members. For years, the California Department of Corrections and Rehabilitation needed only a wing of a prison yard to house all protective custody inmates, the ones who were at high risk of violence or death from fellow inmates. Now it needs a dedicated prison and many entire yards across the state, euphemistically called sensitive needs yards. The largest single sensitive needs population comprises Latino street gang members from Southern California, many fleeing the Mexican Mafia. Gangs out of sight remain sinister, of course, but, in retreating from the streets, they become less of an immediate danger. In the city of Bell, according to one longtime gang leader and drug dealer, several families work as distributors for drug-trafficking organizations based in Tijuana and northwest Mexico. These criminal families have legitimate front businesses, go to church, maintain prim middle-class houses, and want nothing to disturb their dope business. The market for real estate has been the second unguided force impinging on gangs. Some Southern California gang neighborhoods were once so self-contained that they resembled rural villages. Working-class people lived together, married, had children, gossiped, fought, loved, and went about life. Most men left the streets only for the military or prison. Gangs incubated in this insularity. But rising real estate prices have made properties in even the toughest neighborhoods valuable, and value has created peace. In place of insular barrios, for better or worse, neighborhoods have emerged in which people don’t know each other, and street life is nil. New arrivals—often white hipsters or immigrants from other countries—possess none of the history, or gang connections, of the departing families. In the Highland Park district of Los Angeles, gentrification over the last decade has pushed gang families out of the area to towns where they have few connections. The La Rana neighborhood of Torrance, which spawned the Grajedas, a family of numerous gang members and three members of the Mexican Mafia, is now a business park. An extended family of Toonerville gang members once lived in several houses on two blocks of Bemis Street in the Atwater Village district. Now, those who aren’t dead or in prison have moved to Redlands, 60 miles east. In the Canta Ranas neighborhood in West Whittier, a friend showed me the lone gang house in the area, which once had a dozen ne’er-do-well families. Many of the gang families that formed the core of Azusa 13 have moved to towns east; so, too, the families at the heart of HG-13 in Hawaiian Gardens. Meanwhile, Latino home-buyers have been replacing black populations in Inglewood, Compton, and South Central Los Angeles. Like many other migrant groups, blacks have moved out, to the Inland Empire, 50 miles east of downtown Los Angeles, or to Las Vegas, or to the South. Compton, the birthplace of gangster rap, was once 73 percent black and is now nearly 70 percent Latino. 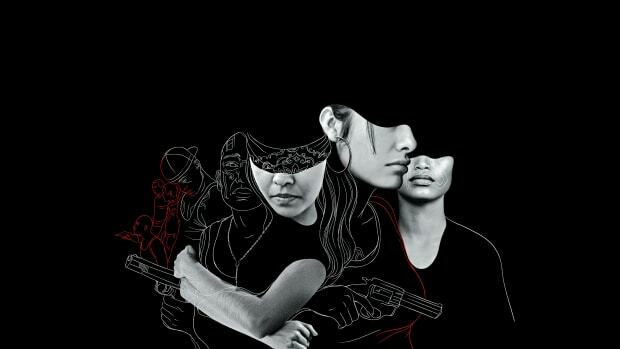 This has often meant that Latino gangs replaced black gangs, and, while that might seem like nothing more than one violent group displacing another, the central role of the Mexican Mafia has often made these newer gangs easier to prosecute. How much of what&apos;s changed in Southern California should be credited to hard-nosed enforcement (the “scorched-Earth policy” of Chris Brunwin), to softer stuff like community policing (“We can’t arrest our way out of the problem”), or to broader forces such as real estate, underworld dictates, and demographics? Jacob Riis believed gangs incubated in hardship, so he advocated for greater compassion and a “prophylactic approach,” arguing that incarceration was “like treating a symptom without getting at the root of the disease.” Many, perhaps most, scholars of gang violence seem to have inherited this outlook. In the 1960s, the sociologists Richard A. Cloward and Lloyd E. Ohlin wrote that gang membership was due to “the disparity between what lower class youth are led to want and what is actually available to them,” and recommended increased social services that became part of federal anti-poverty programs. When the 1970s and ’80s saw a surge of gang violence, tougher theories became more popular—as did politicians who called for harder approaches. This was when scholars like James Q. Wilson gained attention for arguing that loss-gain incentives influenced choices more than social services, and that suppression must play a strong role. Murphy had a chance to demonstrate this on Drew Street. 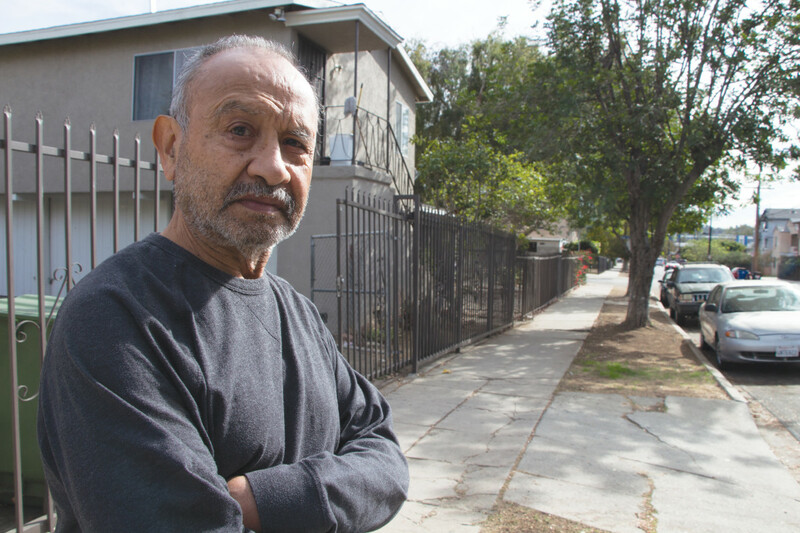 Few places show more clearly how CompStat, community policing, RICO indictments, and shifts in the real estate market can come together to alter a terrain than those nasty two blocks in Northeast L.A. around the corner from where Simon Tejada lives. In the spring of 2008, responsibility for Drew Street fell to Murphy, who was a newly christened Captain III. He had spent a year as Captain I in the 77th Division. Now he was going to take command of the Northeast L.A. station house, a couple blocks from the heart of the Avenues gang. It was Murphy’s chance to put what he’d learned into practice as a division commander. When Murphy first got to Drew Street, he literally found broken windows. He also found kids in hoodies lurking between parked cars servicing drug buyers. A terrified Neighborhood Watch group met at the police station behind closed doors. Meter readers asked for police protection; pizza places didn’t deliver. Gang members shot at officers while they drove through, and kicked in the doors of newly arrived renters to tell them how things worked on the street. Kids couldn’t get any sleep for the late-night gunfire and came to school weary. Numerous dense apartments had gone up on Drew Street during the late 1980s. They were mostly filled by immigrants from the town of Tlalchapa, Guerrero, in a particularly violent part of Mexico known as the Tierra Caliente—the Hot Land. The street matriarch of Drew Street was Maria “La Chata” Leon. An illegal immigrant from Tlalchapa, Leon was the mother of 13 kids. Several of her sons ran the street’s drug trade, along with a network of cousins and aunts and uncles, from what became known as Leon’s Satellite House—a house with trip wires, video surveillance, and a large satellite dish. First, Murphy went to work winning over community players. He turned to the clergy, enlisting them as department liaisons. He set up a Police Athletic League, which led to the formation of a Northeast Boxing Team, and rustled up donations for a tent and boxing ring. Murphy expanded the police advisory board, which in turn provided money for public cameras around the area and money with which to repair them. A grim setback came when Drew Street gang members shot to death a deputy sheriff as he prepared for work one morning, but the murder proved to be the gang&apos;s last gasp. As Murphy introduced himself around, he kept private the knowledge that the department was preparing a massive RICO indictment against the Drew Street gang. This had come about because an LAPD officer who had patrolled Drew for several years had paid a visit to Chris Brunwin, the federal prosecutor. The two had worked together on the Highland Park gang case. In years past, the idea that an LAPD street officer would even know a federal prosecutor, let alone visit one, was hard to imagine. But the door was now open. Thus, in June 2008, three months into Bill Murphy’s tenure as a Captain III, thousands of police officers poured onto Drew Street and into nearby areas. SWAT teams from as far away as the East Coast came in to help. Seventy gang members were indicted. As the SWAT trucks moved out that afternoon, city street cleaners moved in. They covered the graffiti, removed trash, cut down sneakers hanging from telephone wires, and swept streets that hadn’t been swept in a year. They repaired a fountain in the pocket park at the end of Drew Street. Officers began walking foot beats, and kept at it for the rest of the summer. A grim setback came on August 2, when Drew Street gang members shot to death a deputy sheriff as he prepared for work one morning, but the murder proved the gang’s last gasp. Another RICO indictment quickly followed, with 90 members of the Avenues gang sent off to federal and state prison. Landlords, facing hefty legal penalties for allowing criminal activity on their properties, began evicting gang tenants. Then came the unheard-of: Residents started tipping off officers on which gang members had committed a series of robberies. By the end of the year, kids were playing in the street. The Northeast Division grew adept at social media, using Twitter to announce crimes that had just happened. Peace unlocked value. A new neighbor of Simon Tejada’s paid $350,000 for a house last year. Graffiti still occasionally pops up on Drew, but is quickly painted over. The incessant crack trade is gone, as are the menacing kids in hoodies lurking behind cars. Families no longer fall asleep to the sound of gunfire, helicopters, and screeching tires. The area has attracted several Filipino families with young children and no gang affiliations. In conversations I had with them, they seemed only vaguely aware of the street’s notorious history. The city attorney’s office took possession of the Leon family’s Satellite House in a nuisance abatement lawsuit, and the city brought in massive machinery that devoured it in what amounted to a public exorcism. A community vegetable garden went up on the lot. Drew Street, hobbled by overbuilding, remains vulnerable. Dense apartments keep attracting new low-income renters, many of them service workers from Tlalchapa, Guerrero, whose sons, like so many dislocated young men, may be drawn to gang life. Suspicion of the police is still strong. 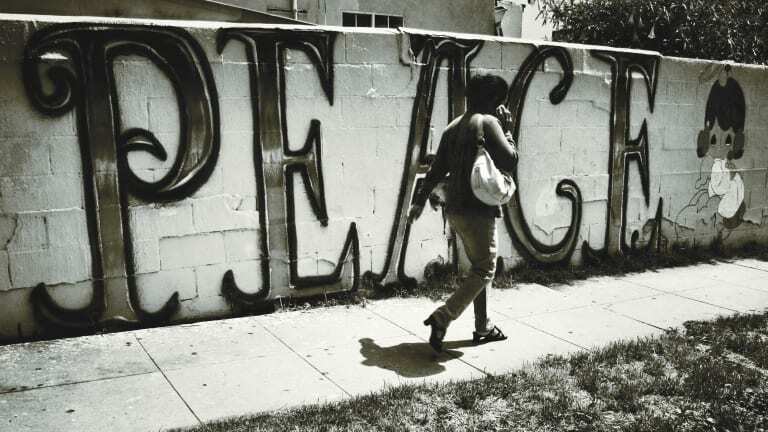 The same tenuous peace holds in many neighborhoods across Southern California. California’s prisons have been releasing thousands of convicts early, and many of them will no doubt cause trouble. Proposition 47, recently approved by California voters, reduces the use of hard drugs like cocaine and heroin to misdemeanor status, and may likewise lead to increases in crime. Yet I can’t imagine how Southern California, where modern street-gang culture was born, would return to the wild old days. The changes on Southern California streets over the last few years are unlike anything I’ve seen in my decades of writing about gangs. For the first time, it seems possible to tame a plague that once looked uncontrollable—and in doing so allow struggling neighborhoods, and the kids who grow up in them, a fighting chance. Lead photo by Sam Quinones. But that doesn’t make its racially biased gang policies any better. Young men in gangs are disproportionately prone to anxiety disorders, psychosis.